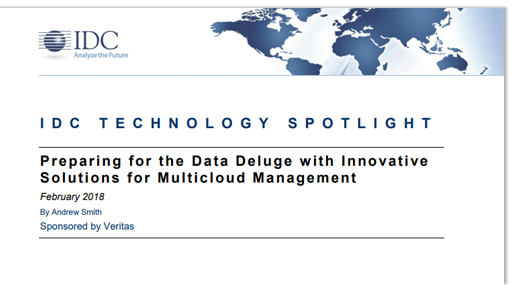 This Technology Spotlight examines Veritas Information Map, a hybrid/multicloud data management and classification solution. This paper also explores the evolving requirements necessary to effectively store, manage, and analyze both structured data and unstructured data in today's increasingly digital and cloud-oriented IT environments. Software solutions for storage management, integration, and optimization are rapidly changing to meet growing demand for multicloud deployment, advanced analytics capabilities, and wider integration with high-value storage workloads such as backup and archive. This paper discusses Veritas' experience in the storage software space and the company's heritage providing backup, archiving, and compliance capabilities, as well as how relatively new services such as Information Map help customers tackle tomorrow's data management challenges.